Learn all about FSU’s environmental commitment from a wide range of presentations from faculty and students at the Lane Center, including those on the topics of religion and environmental activism, food co-ops, genetically modified organisms, natural disasters, food waste, social and environmental sustainability, environmental justice and food recovery. In addition to the Focus Frostburg presentations on April 18, there will also be a film and photography exhibit that evening at 7 p.m. and an Earth Day Film Festival on Sunday, April 22. 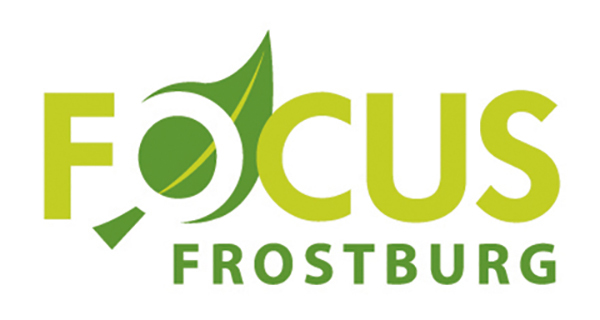 As part of Focus Frostburg, several table and poster displays will be available for viewing. Learn about waste prevention, reuse and recycling at the Allegany County Recycling Table and find out about the Western Maryland Food Council at the Wholesome Harvest Co-op Information Table. In addition, drop by to explore the Key Sustainability People and Events Poster Display created by students and complete a poster scavenger hunt to earn a prize. The presentations begin at 10 a.m. with “Religion and Environmental Activism,” featuring the documentary project “Renewal,” the first feature-length documentary film to capture the vitality and diversity of today’s religious-environmental activists. Also at 10 a.m. is the interactive workshop, “Prepare to Get Your Co-op On! Linking Food Co-ops With Sustainable Agriculture,” where participants can join members of the recently formed Wholesome Harvest Co-op transition team to explore the differences between locally grown and industrially processed foods. A variety of presentations begins at 11 a.m. “GMOs: What’s Out There? Should They Be? What Is Coming? : A Survey and Discussion of What They Are and Where They Are Going,” will touch on what genetically modified organisms are and how they are made. “Political Disasters: How the Government Interprets and Responds to Natural Disasters” focuses on disaster relief policy, which has been concerned more with the loss of economic vitality rather than adequate relief initiatives. “Food Waste: The Issue and Solutions” consists of three talks – “Food Waste – The Issue, the Causes and the Impact,” which provides an overview of food waste in America; “Apples for All – A Western Maryland Food Council Success Story,” which explains the council’s goals for improving the local food system; and “Food Waste Composting in Maryland,” which will cover how food waste is collected and processed in the county. At noon, attendees can watch the film “Wasted! The Story of Food Waste,” in which the world’s most influential chefs make the most of every kind of food, showing how every person can make small changes to solve the problem of food waste. The screening will be followed at 1 p.m. by a panel discussion featuring representatives from area food recovery/food rescue organizations. There will also be a talk at 1 p.m., “I’m Driving on Sunshine, Whoa-oh!” about one person’s experience driving an all-electric vehicle charged by a solar array on a garage rooftop. “A Tour of University Food Waste Recovery Solutions” at 2 p.m. includes a walkthrough and discussion of campus food recovery efforts. Another University effort is explored at this time: “Communication Leadership Lab Collaborations: Exploring Links Between Social and Environmental Sustainability” features the Communication Leadership Lab coordinator and lab assistants, who will discuss the projects, partnerships and benefits of building links between social and environmental sustainability work. “Indigenous Voices for Environmental Justice,” also at 2 p.m., explores how indigenous peoples all over the world are using social media to fight against cultural and environmental exploitation. Finally, at 4 p.m. “Solutions – The Food Recovery Hierarchy” will provide a discussion on how to create a more equitable and sustainable food recovery network. After the Focus Frostburg events, at 7 p.m., there will be a program about cultural sustainability in Sudan, featuring a film festival and photography exhibit. “Saida” is about a young woman returning from a displaced persons camp who must create a life for herself, and “The Afghans: Pictures of Resilience” is an exhibit of more than 130 photographs of a fiercely independent people who have survived 40 years of uninterrupted war and famine. On Earth Day, April 22, FSU, an official host for the Earth Day Film Festival, invites the campus community and area residents to celebrate Earth through film. One of the films selected is “A Simpler Way,” the University’s documentary that chronicles FSU students’ experience in Uganda. The screenings will begin at 3 p.m. in Gira Center room 397. In addition to “A Simpler Way,” four other short documentaries and one animated short will be screened, then, following a brief intermission, a second FSU documentary, “A Vision Within,” will be shown. A final FSU sustainability event will take place on Monday, April 23, when students will host a screening of “Before the Flood,” share information about the Sustainability Studies Minor and discuss ways for students to become more involved in on-campus sustainability projects. “Before the Flood,” presented by National Geographic, features Leonardo DiCaprio on a journey as a United Nations Messenger of Peace, traveling to five continents and the Arctic to witness climate change firsthand.